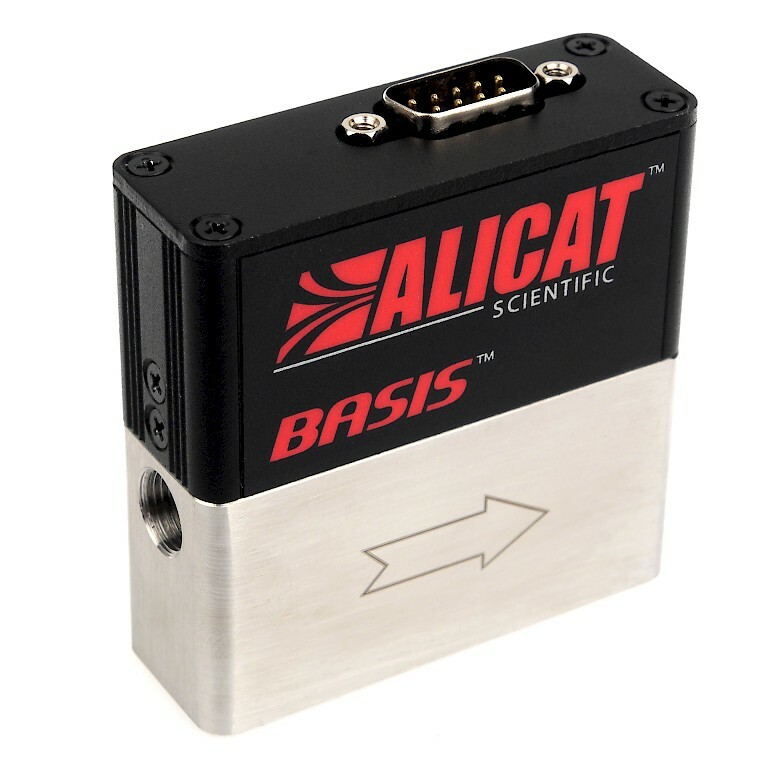 The Alicat Basis OEM series has been designed for integration within original equipment manufacture (OEM) products. The integral sealed platinum MEMS sensor has been calibrated for use with multiple gases which include Air, Ar, CO2, N2, O2, and N2O all of which are selectable over RS-485 communications. Additional controllers are available for use with H2 and He which have been calibrated with the actual gas. 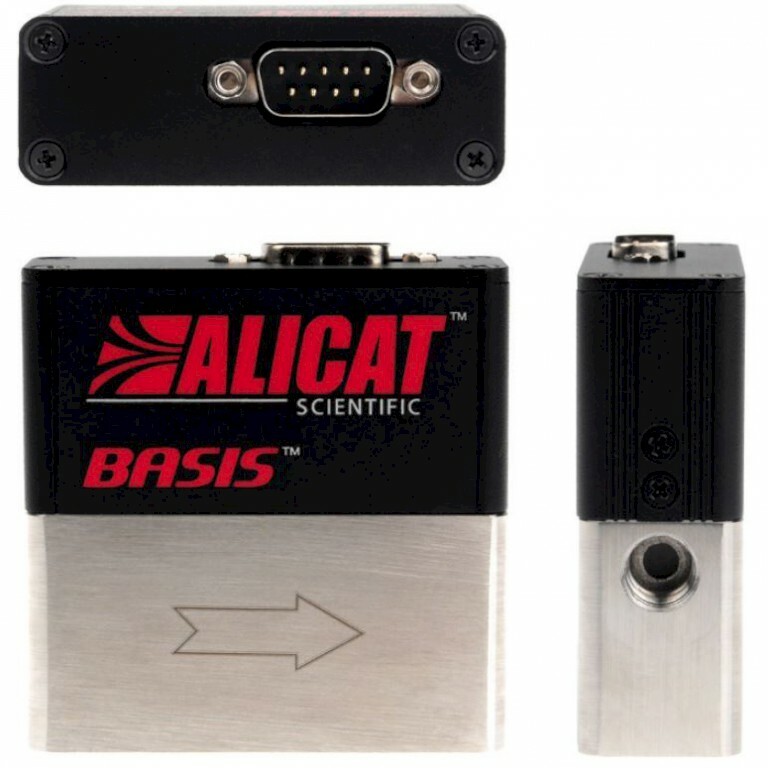 Basis series mass flow controllers have minimal warm up time and are ready to control at full accuracy in just 70 ms. Flow control itself is only 100 ms with full PD valve tuning available for improved process speed and stability. 100 SCCM controllers have a working range of 1 - 100 SCCM whilst 1000 SCCM controllers have a working range of 5 - 1000 SCCM. Both are accurate to ±(1.5% Reading + 0.5% Full Scale) whilst offering ± 0.5% reading repeatability.